We're Supporting Caregivers for Alzheimer's Awareness Month! When it comes to Alzheimer’s Disease and Dementia, Caregivers know that Education and Support is priceless. 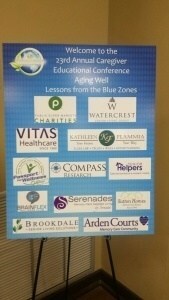 Today, Passport for Wellness is a sponsor and attendee of the 23rd Annual Caregiver Educational Conference, Aging Well: Lessons from the Blue Zones, to support our mission, and the mission of our community, of empowering and educating caregivers of loved ones with conditions like Alzheimer’s and dementia. Led by our friends at the Alzheimer’s & Dementia Resource Center located in Orlando, FL, the trusted community event educates, motivates, and inspires caregivers from across the state of Florida. Get the Facts: More than 5 million Americans live with Alzheimer’s disease. Active Aging, excellent healthcare, caregiver tools, and awareness can help us eradicate Alzheimer’s disease forever. That is why the entire team at Passport for Wellness is so committed to “Going Purple” for Alzheimer’s Awareness Month, as well as these local, national, and international endeavors. Follow Us on LinkedIn for the latest educational conference updates, including full coverage of this event. 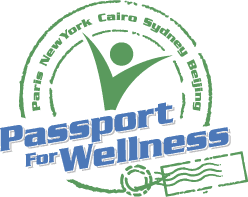 Passport for Wellness is the #1 video streaming exercise program for active aging. Our worldwide mission is to increase active aging and physical activity for seniors everywhere. To learn more about our senior wellness program and initiatives, please visit us at www.passportforwellness.com.